Deutsche Telekom continues to push technological boundaries and its gaming for good initiative by introducing the world’s first consumer focussed Virtual Reality (VR) game, where anyone can help scientists fight dementia. 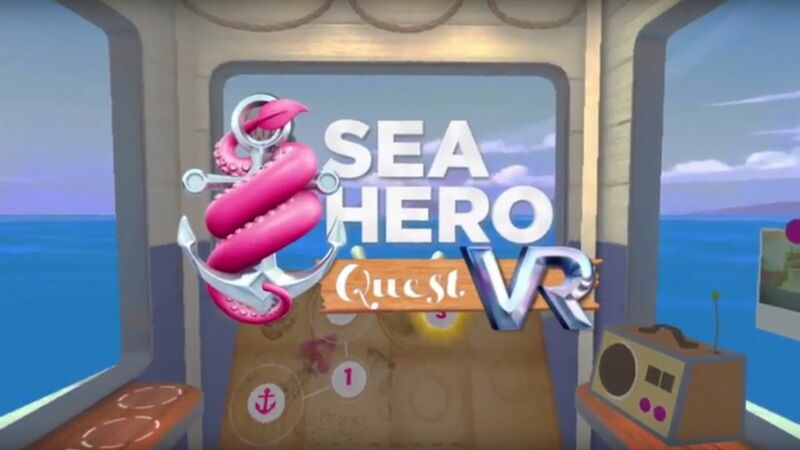 Deutsche Telekom’s ‘Sea Hero Quest’ VR aims to harness the power of VR gameplay to advance dementia research. The project was initiated and led by Deutsche Telekom, in partnership with University College London, the University of East Anglia and Alzheimer’s Research. The game itself was developed jointly with independent game designers, Glitchers. “Building on the success of the mobile game Sea Hero Quest which collected the data of almost 3 million players, we are very proud to continue to push the boundaries of traditional medical research, working alongside our trusted partners and leveraging our expertise in this area.” commented Hans-Christian Schwingen, Chief Brand Officer at Deutsche Telekom. In 2016, Deutsche Telekom launched the hugely successful mobile game ‘Sea Hero Quest’. It went onto be downloaded nearly 3 million times (the largest previous study comprised only 599 volunteers), generating the equivalent of over 12,000 years of lab based research, establishing the first global benchmark for human spatial navigation and forming the largest dementia study of its kind in history. Preliminary findings from the analysis of the data set were presented at the prestigious Neuroscience 2016 conference in San Diego and the game is now being trialled for use within a clinical setting. Just 2 minutes spent playing Sea Hero Quest VR collects the equivalent of 5 hours of lab based research. Sea Hero Quest VR presents scientists with the opportunity for cross validation of the data collected by Sea Hero Quest mobile. They hope to build on the rich data set collected by the mobile game by using the latest in virtual reality technologies to gain greater insight into human spatial navigation behaviours. Previously, data collected by Sea Hero Quest mobile could determine the orientation of the player within 22.5°. With Sea Hero Quest VR, this has been narrowed down to within 1.5°, giving scientists navigational data that is 15x more precise. The legacy of Deutsche Telekom's ‘Sea Hero Quest’ is a key example of the company's commitment to technological innovation and its digital responsibility ethos. The initiative shows us how digitalisation, particularly Cloud Services can support science in a positive way. The data collected by Sea Hero Quest is stored in a secure T-Systems server in Germany an all analysis by the UCL / UEA team is conducted on entirely anonymous data. Sea Hero Quest VR has been developed to work with the Samsung Gear VR and will be available for free from 29th August 2017 via the Oculus mobile platform. Sea Hero Quest mobile is still available to download for free via the App Store and google play.